The regulatory arm of the Bank of England will hand out its first-ever fine later when it censures Royal Bank of Scotland (RBS) for an IT meltdown in 2012. Sky News has learnt that the Prudential Regulation Authority (PRA) will impose a multimillion pound penalty on the taxpayer-backed lender, alongside a larger fine levied by the Financial Conduct Authority (FCA). The dual punishment will mark the first occasion on which the PRA, which has a duty to maintain financial stability, has hit a regulated firm in the pocket since it was established last year. People close to RBS said on Wednesday that it had agreed to pay around £50m in total to the two watchdogs. The IT glitch in 2012 left millions of RBS, NatWest and Ulster Bank customers without access to their money following a systems upgrade which went awry. Sky News revealed earlier this month that RBS had been told to pay a sum representing a record for a systems-related problem. RBS has already made a provision in its accounts of £175m to reimburse customers who had suffered losses. The bank, in which taxpayers hold an 80% stake, is expected to receive a 30% discount on the original penalty after co-operating with regulators. The Central Bank of Ireland fined Ulster Bank around £3m earlier this month for the IT failure, which prompted the FCA to announce earlier this year that it would tackle the robustness of banks’ IT systems as one of its priorities. Last December, RBS suffered another systems outage on the busiest online shopping day of the year, the third time in about 18 months that such a problem had prevented customers from using cards, cash machines and online banking services. Other banks have also been hit by IT problems which have affected customer-facing services on a regular basis. RBS has since pledged to invest more than £1bn in its digital capabilities and IT systems during the next three years. Clive Adamson, director of supervision at the FCA, said in April: “To access and manage our money we depend on the banks’ IT systems being reliable. But IT outages continue, interrupting key banking services. 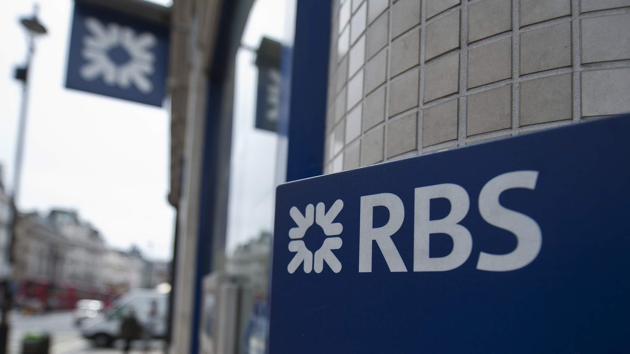 The PRA had previously disclosed that it was conducting an enforcement investigation into the RBS issue. RBS, the FCA and the PRA declined to comment on Wednesday.